It’s that time again! We had a great year of Texas/Red Dirt music and now it’s time for you to let us know who your favorites were! 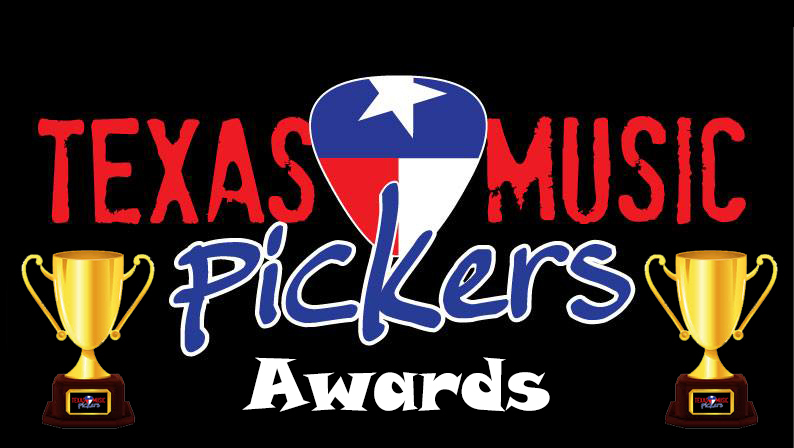 Here at Texas Music Pickers we focus primarily on the the up-and-comers, so all of our awards are limited to artists with under 15K Facebook likes. Here’s how the voting will work this year. The winner will be selected by a combination of the Fan Vote and Judge’s Vote. Fans will get one vote in each category and voting will end on December 30th, at midnight. We will also have some of our friends from the industry (radio PD’s, professional songwriters, talent buyers, studio musicians, producers, etc…) weigh in and vote as well. We’ll then take the ranking of the fan vote and the ranking of the judge’s vote, average them together and announce the winners at the beginning of next week! We’re also offering our blog subscribers one additional vote this year, click here for more details. These guys came out of nowhere this year! They put out a really powerful album “Among the Rubble”, had some good radio success, and have a really solid social media following! They have a lot of energy, and a unique sound that makes them stand out immediately! This duo has a lot of buzz going on right now, and we’re excited to see what next year holds! These guys put out 3 really good EP’s this year, and Whirlwind was our favorite! These guys have a fantastic sound, and this EP demonstrates every bit of talent they have! If you’re looking for top-notch vocals and smooth sound, look no further! They reached over 1 million total streams on Spotify, and have a rapidly growing fanbase. They will undoubtedly have a BIG 2017! Kaitlin Butts was one of the buzzed about female artists this year! She gained a lot of industry recognition, and played some really BIG shows this year. She grew a really big social media following and is killing it Spotify! She’s lovable, talented, and unpredictable and we can’t wait to see what the next 12 months hold for her! Her next project will have A LOT of eyes (and ears) on it! We’ve been high on the Koe Wetzel bandwagon for a long time, but it seems like this year they finally got some of the recognition they deserved. They put out a KILLER album, “Noise Complaint” and tore up the road! These guys had a huge year, and their energetic live shows are captivating audiences all over Texas and Oklahoma! Expect 2017 to be another BIG year for this fantastic band! Flatland Cavalry’s first number 1, “One I Want”, was a massive hit for this fast-rising band! It was recognized by the CDXTraction chart as the #1 most spun single this year! With the huge success of this single, we feel confident that many more are on their way! It’s hard to remember an album that made such a big splash by a virtually unheard of band at the time. The album went all the way up to #2 on the iTunes chart, and lead to signing with major booking and management. It appeared on many of the industry’s end-of-year lists, and topped several! This was easily one of the most buzzed about Texas/Red Dirt albums tis year and their next project will one of the most anticipated records from an up-and-coming artist in a long time! These guys had an incredible year! They had one of the biggest albums, one of the biggest singles, and played at just about every major venue in Texas this year! What’s even more impressive, is that they completely transformed the Texas/Red Dirt scene by shedding light on just how powerful a grass-roots fan base can be! They’ve changed the mold and opened the door for many more up-and-coming Texas/Red Dirt artists and undoubtedly deserve to be Texas Music Pickers Artists of the Year! Congrats guys on a great year! Who comes up with the nominations? These are poor! We do. Is there someone particular you’re looking for in a category?